Welcome to a sun-shinny Friday! Here is this weeks TGIF Challenge! I love a good color combination. 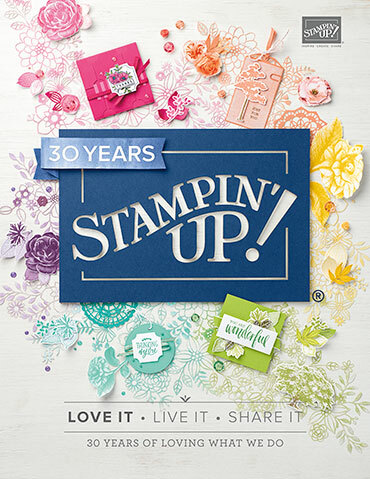 In fact, I have been a little lost without my color coach since Stampin' Up! retired them in May from our annual catalogue. The good news is that you can visit the TGIF Challenges site each month and you will get a great color combination! 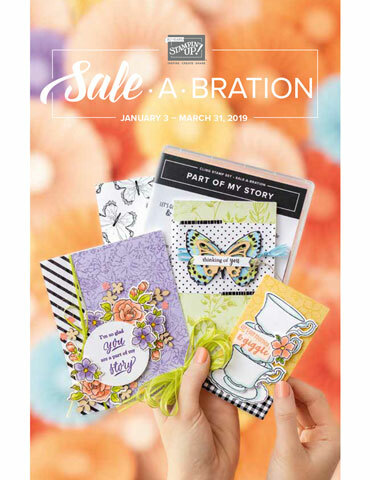 If history keeps repeating itself, you can check in the first Friday of each month for a fab new color combo. Even better is that the design team will inspire you using the color combination with their amazing ideas! You are welcome! 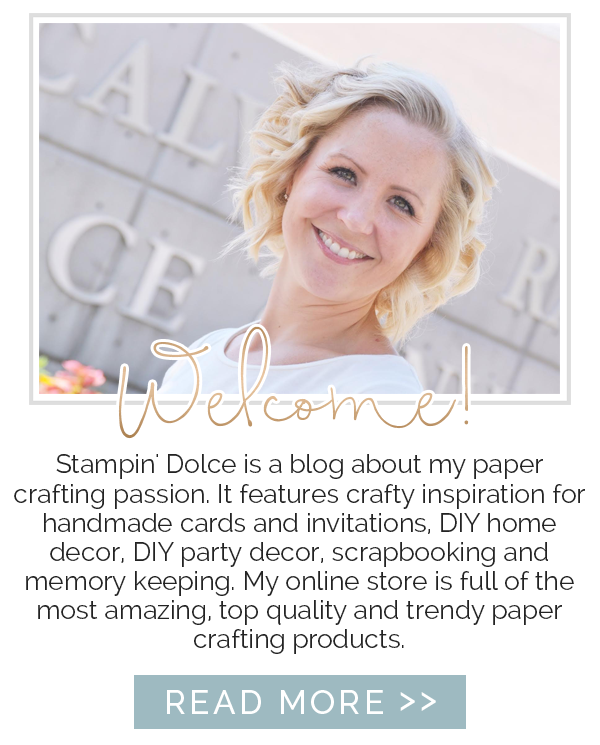 I cut up a Sketched Dots Tag a Bag Gift Bag and sewed it to the front of my card. It was very difficult to photograph but hopefully you can see the polka dot pattern. Glassine Sheet could also be used ... I still have them on my wish list and have not ordered them yet. 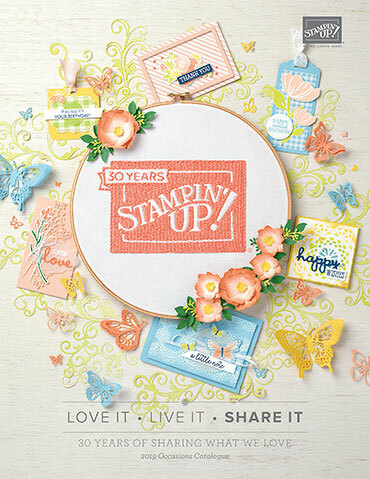 Contrary to popular belief, I do not own everything in the catalogue ... but it is very early in the Stampin' Up! year! So what are you doing this weekend? I hope you will take the challenge and play along! 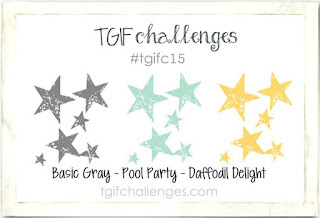 Visit TGIF Challenges for more details and remember to share with #TGIFC15!